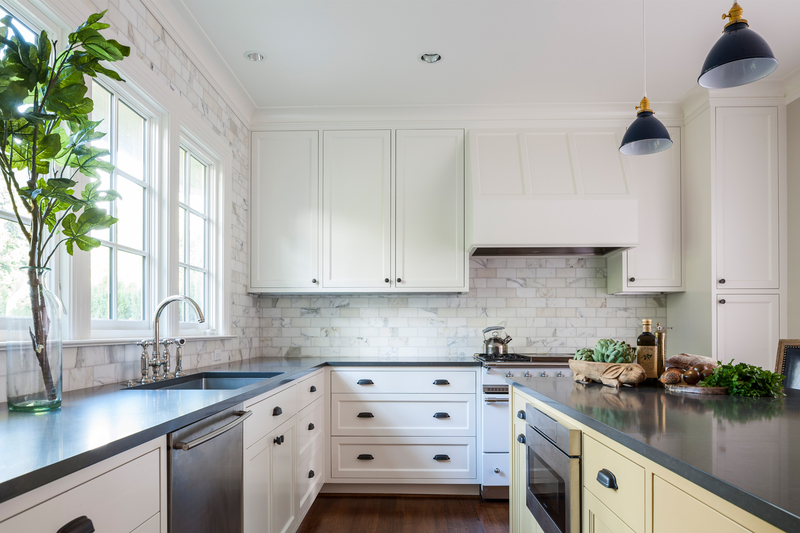 Designing a modern farmhouse kitchen in a traditional home to feel as if it had been there all along. 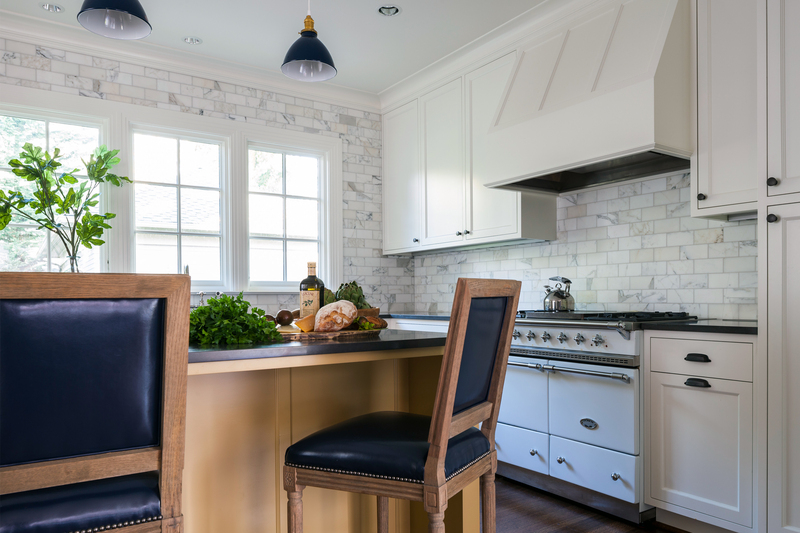 The owners of this traditional home in Seattle’s Madrona neighborhood wanted a kitchen remodel with classic charm, but, of course, with some modern amenities. 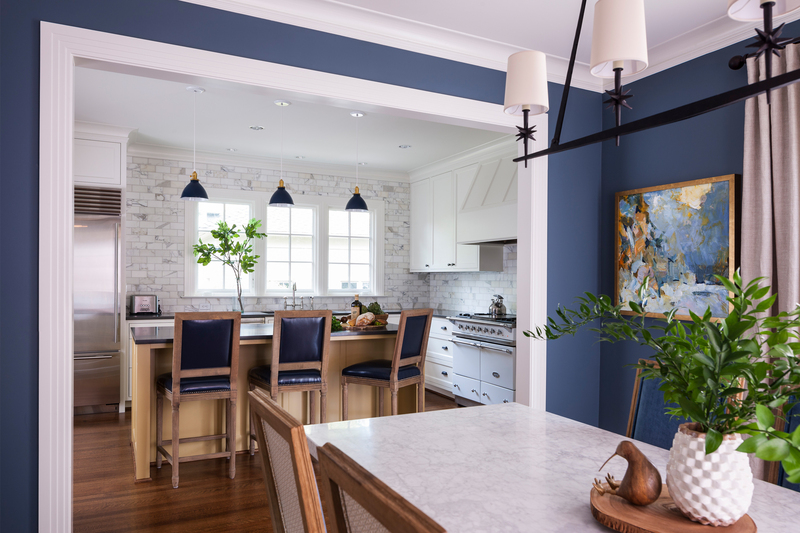 Creating a more functional kitchen was one of the main priorities for their home remodel, and they stipulated that whatever work we did should look as if it had been part of the existing home all along, not an update that clearly looked like it came from a different era. The home’s original layout did not utilize space very efficiently, and the rooms were too isolated from one another. So, we opened up the floor plan, connecting the kitchen to the adjacent dining room and hallway beyond. Though more connected, the spaces remain individually defined — as is appropriate to a traditional home — with the large openings between them framed with beautifully-detailed trim and moldings. We also moved a window in the kitchen in order to provide more built-in storage and to maximize natural light. 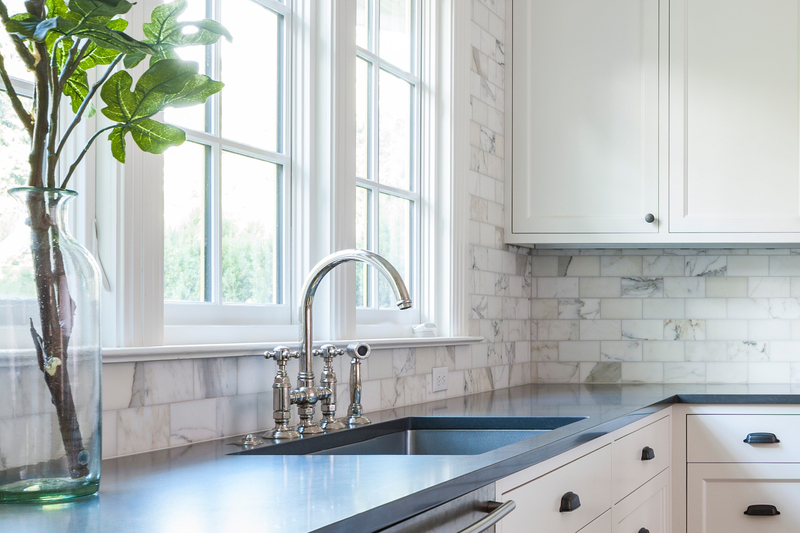 Gleaming, white, Shaker-style cabinets, and marble subway tile contrast beautifully with rubbed bronze drawer pulls, polished quartz countertops, and navy accents. Read the full review on Houzz. This project was built by Apogee Construction. Interior design by Tammara Stroud.